Over my past two years at Dalhousie, Professional Practice Week has been an invaluable experience that has provided me with the opportunity to learn from and discuss with many talented professionals. By inviting guest lecturers from a variety of disciplines, backgrounds, and countries, it has shown students that our hard work at school can lead to a rewarding and diverse future. 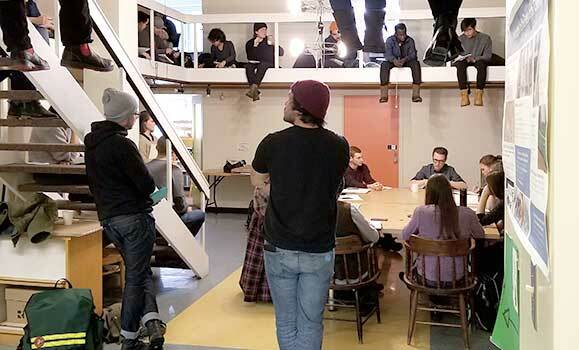 Taking place each year at the beginning of the winter term, Professional Practice Week (PPW) is one example of the unique programming that makes the Dalhousie School of Architecture among the best places to study architecture and design. Perhaps the most exciting aspect of PPW for students is having access to an esteemed list of practitioners who travel from all over the world for this intensive five-day workshop. Each year, the school welcomes guests who have expertise on a specific theme of practice. At formal lectures, students are taught about how the week’s theme relates to each guest’s career. Then students engage in informal workshops and dialogue sessions. These less formal opportunities are the highlight for many students, allowing them access to well-regarded professionals who share their experiences and give advice. This year's theme, "Architectural Internship and Five Years after Graduation," brought in eight speakers from Canada, the United States, Portugal, and Denmark. Professional Practice Week brings together three cohorts of undergraduate and graduate students for a week-long celebration of practice. Fourth-year undergraduate students display posters on their recent work term experience and the third-year students ask them questions. 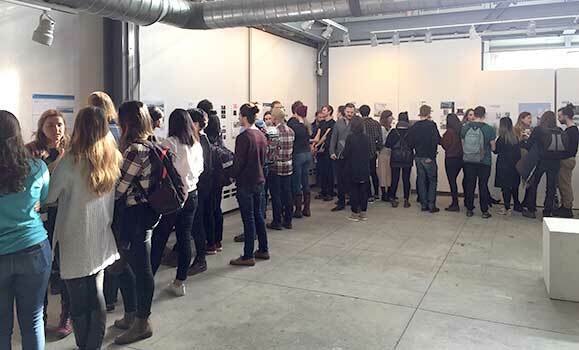 Passing on experience and sharing knowledge during this week of networking and relationship-building bonds students together and reinforces the collegial atmosphere at the School of Architecture. Professional Practice Week exposes students - often for the first time - to many important aspects of practicing architecture, such as types of career paths, professional best practices, challenges of practice, licensing, the national building code, and safety training. Aside from these practical topics, students see different kinds of exemplary design work from all over the world. One of this year’s guests, Suzan Tillotson, is a lighting designer. 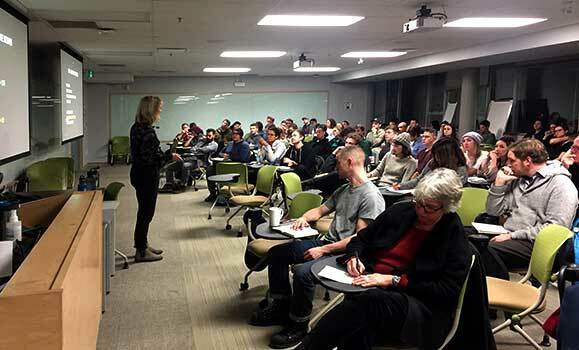 Her presentation inspired students not only to consider lighting design as a career path but as a consideration in any type of architectural practice they pursue.